The farmyard that would later be called 'De Hoorn' was originally documented in the early history of Steenhuffel. In 1380 it was the property of Peter Vander Smessen. In the book of excises of the Duke of Brabant, the property is described as a house with a courtyard located by the churchyard. Old documents from around the year 1525 mention the name 'De Hoorn'. At this time, the property was an inn run by Joos De Lichte. However, De Hoorn was reduced to rubble when Steenhuffel saw heavy fighting during the final quarter of the 16th century. Several decades would pass before the Mertens family became the new owners and rebuilt the property. During this period, however, it was not run as an inn. In around 1700, De Hoorn was home to the nobleman Urbaan Lecocq. He sold the property to Andries Van Doorselaer and Joanna Van Accoleyen, who would ultimately begin brewing there.Andries Van Doorselaer and Joanna Van Accoleyen were originally from Malderen, and were also married there in 1691, but they moved their family and their company to neighbouring Steenhuffel. Andries Van Doorselaer started renting a brewery next to the church sometime before 1698; however, he was able to open his own brewery when he purchased the De Hoorn property across the street in 1706. In any case, Andries Van Doorselaer's entrepreneurial spirit was unstoppable. A description from 1736 indicates that De Hoorn was home to a number of different activities. Chief among these was a farming business, with horses, dairy cattle and grain farming. The inn was also open for business once more - not just for residents of the village, but also for travellers who were able to change horses there. There were also wort boilers and cooling troughs, a still and even a malt oven for germinating the malting barley and drying the locally grown hops. In 1801 De Horen is sold by public auction. Jan Baptist De Mesmaecker and Clara Bastaerts make the highest bid and become the new owners. In 1908, his daughter Henriette De Mesmaecker married Arthur Van Roy, a descendant of a brewing family from Wieze. Arthur kick-started the brewery’s industrial development in order to sell his beers far beyond the borders of the municipality. He also created his own “Spéciale Belge” brew. Later, after the outbreak of the First World War, DE HOORN Brewery was not spared. In 1914 the brewery was almost completely destroyed by bombing. During reconstruction, it proved impossible to invest in the refrigeration technology necessary for brewing the, increasingly popular, bottom-fermentation pilsner beers. The brewery therefore continued brewing top-fermentation beers out of necessity. In 1929, Arthur Van Roy gave his “Spéciale Belge” the brand name “Spéciale PALM”, as a sign of the victory of top-fermentation beers over bottom-fermentation pilsners. He was convinced that his Spéciale PALM offered more aroma and taste than pilsners. The brewery escaped the Second World War unscathed, and work subsequently began on its expansion. This growth was thanks in no small way to the increasing success of “Spéciale PALM”. To celebrate the brewery’s bicentenary in 1947, son Alfred Van Roy released Dobbel PALM, a slightly more rounded festive beer, which has now become the beer for the festive season. After drawing lots during the World Expo 58 in Brussels, Alfred Van Roy was awarded the best place on the Ancienne Belgique market square. Here, he built his imposing PALM-Hof (PALM Court), which gave the brand national publicity. Every time Ancienne Belgique was shown on post cards or via the new medium of television, the PALM Court was always visible. To meet increasing demand, the brewery underwent significant expansion: the presbytery and farm were demolished and rebuilt on the other side of the street. The brewery continued to grow in the sixties. When the local beer culture staged a comeback in Belgium following the student uprisings and the Flower Power movement in 1968, Alfred Van Roy accordingly became the lead player, posting the highest growth with his Special PALM Brabant-style amber beer. The public increasingly referred to the DE HOORN brewery as the PALM brewery. 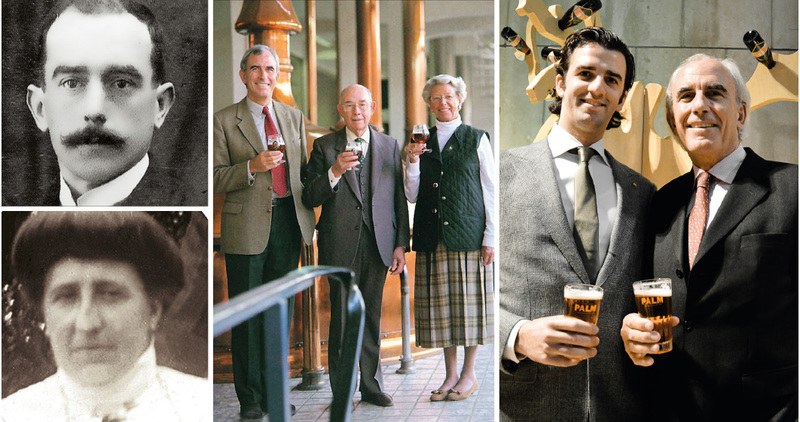 Having no children, Alfred asked his nephew Jan Toye, a descendant of the long-standing Roman brewing family, to continue the family tradition and Alfred’s life’s work. And so, the brewery remained a family business. Under Jan Toye’s management, the brewery continued to grow into a national, and later international, player. In 1980, the Belgian draught horse logo appeared for the first time on labels. It not only symbolises PALM’s Brabant origins, but also illustrates how we get the best from nature, by way of tradition and selection. In the eighties PALM acquired a second growth market when Dutch consumers. PALM went on to become the best-selling specialist beer in the Netherlands. In 1988 PALM acquired Diepensteyn Castle. It was restored to its full glory and rebuilt between 1993 and 1996. 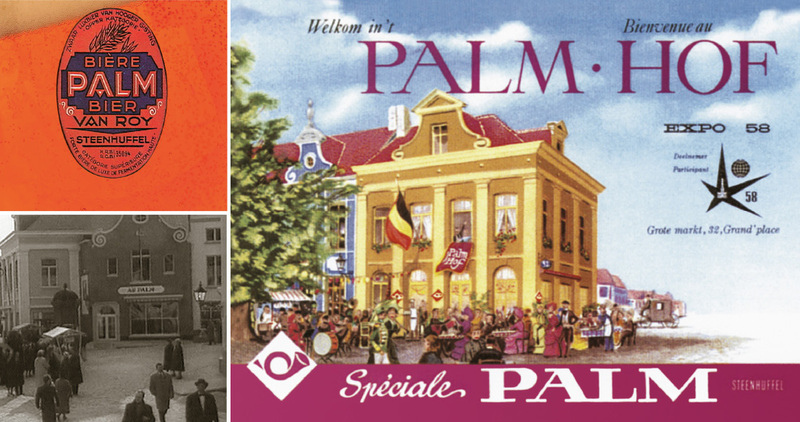 As a cultural project, PALM set up a joint venture in 1990 with the BOON lambic brewery in Lembeek. In 1998, RODENBACH Brewery was taken over. In 2014 Palm Breweries is renamed Palm Belgian Craft Brewers. A new micro-brewery is opened in order to experiment with new combinations of herbs, spices, hops, fruit and wood, and is named in honour of De Hoorn. At 10 hl, the capacity of the micro-brewery is almost exactly the same as that of the village brewery of days gone by. In 2016 The Dutch Swinkels brewing family acquires a majority share in Palm Belgian Craft Brewers.